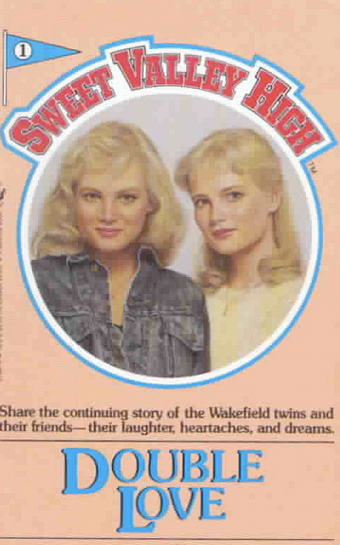 Research for my final paper for my Realistic Young Adult Fiction has led me to reading some books and articles about Sweet Valley High. In an article for The Believer called, entertainingly enough, “The Training Bras of Literature,” Amy Benfer makes a number of smart comments about the stuff going on with Francine’s Pascal’s eternally Blonde, Long-legged, Perfect Size 6 (or 4, depending on your edition), Perennially-tanned, Aquamarine-eyed, Indentically-twinned heroines. One smart comment calls attention to the increasingly inane and perpetually detailed character descriptions found throughout the series. Although Jessica and Elizabeth get the most royal treatment, Pascal makes sure that you, the reader, AT LEAST know the exact hair and eye color of every side character who the twins happen to encounter. Oh, Mass Media, always trying to drag a girl down. After reading stuff all morning about SVH, I’d already began to consider the “Popularity Envy” so rampant in young adult literature and comparing it to my own high school experience. I’ve always questioned the existence or significance of high school popularity – I knew which kids in my high school had money, had parties, had friends, but I never felt there was any kind of social hierarchy keeping me from speaking to them, and I never felt an acute need to infiltrate their cliques. 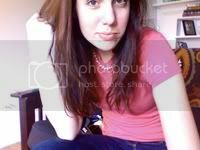 But then again, the more I read about Jessica and Elizabeth, the more I realized that I think they are different than me, and in the same ways that I thought the innocuous “popular” kids at my high school were different than me. I certainly wasn’t invited to any parties, I couldn’t afford all their fancy clothes and tanning beds and haircuts and makeup, and I didn’t have an “in” with any of the hotter male specimens in my age group (most of which have since gained 20-30 pounds… thank you, Facebook, for cheering me up!). Basically, I would never be blond, tan, and squeezing into a size six would be possible but not practical enough for everyday practice. I will never be hot enough/rich enough/blond enough to be in the elite. Perhaps my subconscious is wrong – I’m not any less-stunning, less-deserving of any Wakefield Twins. It’s not possible that a high school could be populated entirely, 100% by super-model-esque teenagers; it was all about the perspective. Maybe I just need Francine Pascal to write me. I swear you and your sister were not named after SVH characters.